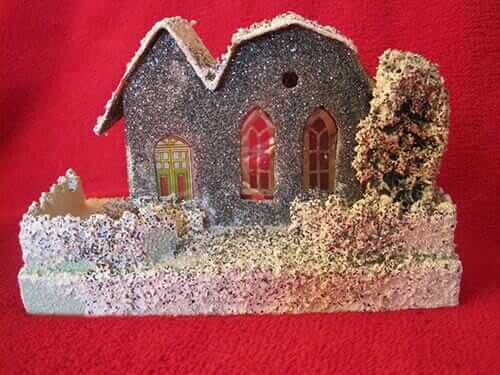 Setting up tiny, glittery houses during the Christmas holidays became widely popular in 1928 and continued for about a decade after World War II ended. But because these kinds of ornaments hold so much sentimental value, they often get passed down for generations to come. 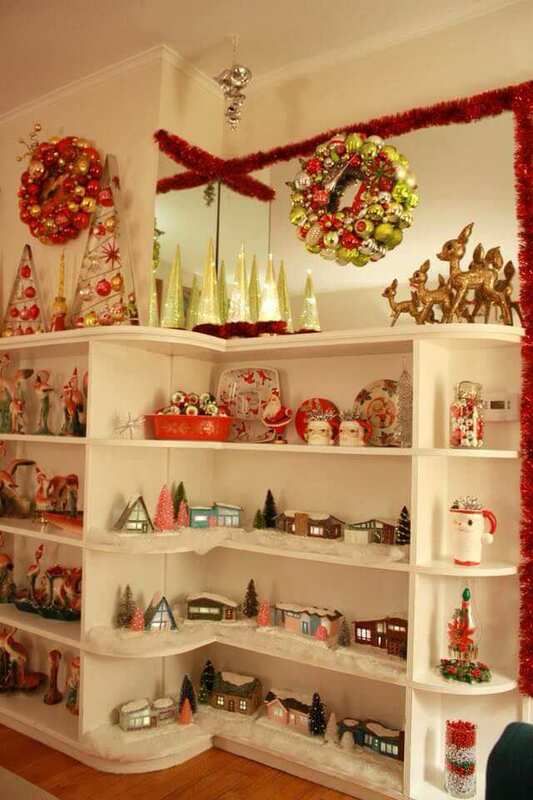 (Even if the kids don’t want mom or grandma’s furniture, we want those beloved Christmas ornaments!) 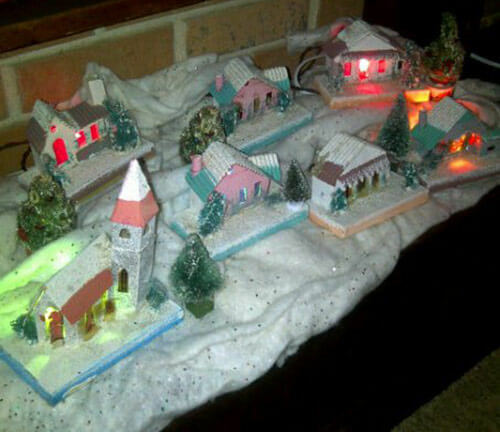 These historic vintage villages are particularly sweet: Whether they were arranged as small neighborhood on your mantel, part of a train set scene under the tree or set up in conjunction with a nativity scene — these diminutive buildings allowed both young and old to play as they decorated. Today: The history of what we have been calling “putz” style houses, but which have been sold under a variety of names for — more than a century! We have 13 different designs — download the free templates here. 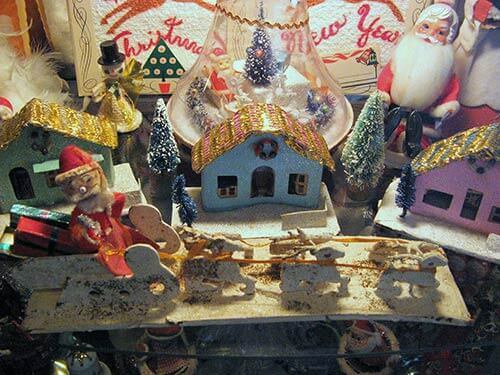 At our house, we always set up the three tiny structures that were given to us by my grandmother (pictured above) as part of a scene on top of the TV cabinet. They went between the nativity scene that I made out of clay and the Snoopy and Charlie Brown holiday figures we had collected over the years. It was perhaps a strange combination — but one that always delighted my brother and me: our own miniature world. 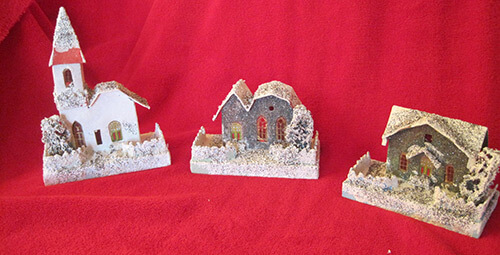 These small houses — such as the ones above from reader RetroChase (notice the “basket weave roofs) — have been called by a variety of names: Christmas Villages, Glitter Houses, Christmas Gardens, Train Gardens and Putz Houses. 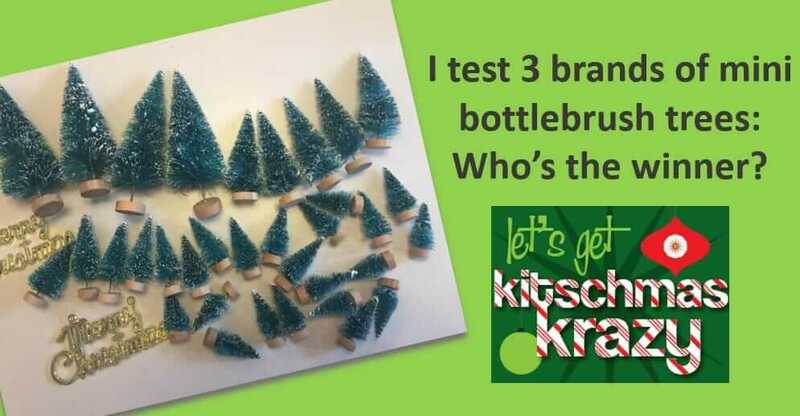 From Pennsylvania German putz; compare archaic German Putz (“ornament, decoration, finery”), putzen (“to clean; decorate”). The global expert in Putz house history seems undeniably to be Ted Althof, who began collecting this little houses in the 1970s, and who since then has created an amazing, detailed online history of Putz houses. Seriously: Wow! We won’t try to replicate his history — it goes on for pages — minutiae about the minute! 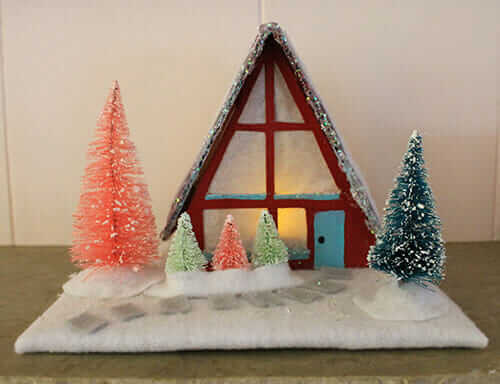 But in short: These glittery little holiday houses date to 1928 — invented by the Japanese, likely building on the concept of the similarly small “candy box” houses that they had been making for the American market. Their “golden years were from 1928 through 1937, when the looming war discouraged consumption. They saw a dime store revival after World War II — when Japan began making and exporting them. Their popularity waned by 1960, as consumers turned to other holiday decoration fashions. Again: Check out Ted’s site, it’s amazing. There is a wealth of information available online — photographs and information about Putz houses, patterns and instructions to make your own, people who will build them for you, information on how to make repairs to your vintage houses. And, they seem to be pretty abundant — and a relatively *cheap thrill* on etsy and ebay. Get all 13 of our mid mod putz house designs here. 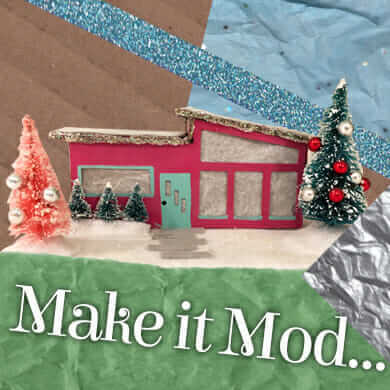 Erika has made all of our mini mid mod putz house patterns ! Another morning with a cup o’ joe and spending more time than I should going through the pictures and history of the Christmas Villages on Ted’s website. I loved the old department store Christmas window displays, what a delight! Thanks for this story and starting my day off with a smile. Where are the department store window displays? I must have missed them. I ran across them several years ago and found them so fascinating. I don’t even remember them from my childhood but what a great hobby/collection! I recently bought several vintage ones at an estate sale for $3 each! (bargain!!) to add to my collection of other vintage ones I already owned. They are possibly my favorite Christmas decoration. Uploader for these houses coming TODAY at noon! Get your photos ready! Always something new and interesting.